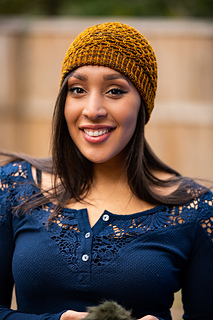 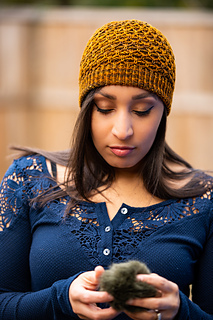 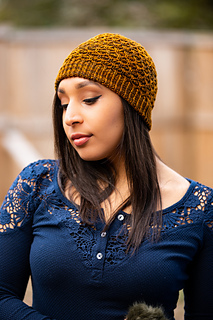 Aslyn is a fun-to-knit and easy-to-wear hat featuring beautifully simple textures that together have a dramatic effect. 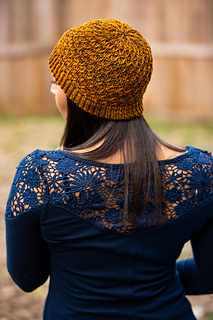 The hemmed, twisted rib brim transitions uninterrupted into a unique, allover lattice texture, which then blends organically into the crown shaping. 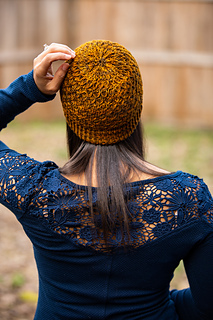 This hat looks great in both variegated and solid colorways and worn either snug or slouchy! 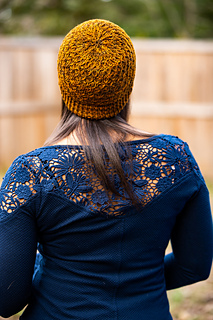 Hat shown in size M on 21¼” (54 cm) head.